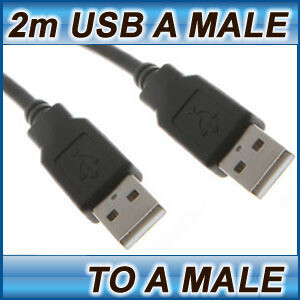 This USB 3.0 Type A Male to Type A Male Cable is perfect for connecting between your computer and a peripheral device with a standard USB connection, such as an external hard drive (HDD), printer, scanner, camera, video camera, or any other device which has a USB Type A connection. This cable is guaranteed to be of the highest quality. If your are not 100% satisfied with the quality and performance of this item simply return it to us for a full refund including postage.